I caught this "interesting little flick" late one night on a simple B&W 13" tv. It is small-scale; just a few players in the cast and none of them really memorable. Bernard Lee may be in it? I forget. Oh well. This innocuousness of the supporting cast, adds to the sense that this is a film mainly about Peck's character, alone. Anyway I was intrigued by the quietness and the solitude of the story and the hero's stark emotional dilemma. Its the kind of flick I usually enjoy and I watched it straight through to the end. It is a simple plot and worked for me. Peck's protagonist is basically a 'nihilistic' serviceman, a soldier who has lost his interest in life. He is 'going through the motions of life' rather than really living. Its reminiscent of several other war stories I admire; and even though it is a very 'muted' film--even though it plays in a lower register--its effective. What I mean is there's really no fireworks from Peck. In one sequence we see he is reckless on his combat missions and that other pilots "dont want to fly with him". He is a man with a 'death wish'. In another scene we see that even though Peck is in rather a 'daze' he is not completely dead or an automaton. There's a fun scene where he gets teed off with his annoying tent-mate. In any case it's odd to see this movie taken up as the focus of a review; I never even see it mentioned anywhere. I would never think of it as 'essential' movie-viewing; there's just not a lot interaction between the few actors present in the story. Its a very 'personal' -feeling movie. I saw the flick, marked down the pleasure it gave me, and filed the memory away until browsing this thread. Glad to see it talked about. Fun anecdote: I heard someone call in to a late night radio movie chat program once and they argued strenuously for the overlooked greatness of this flick and they designated it their all-time favorite film, etc etc etc . The talk show host was surprised and trying to be nice about it but basically responded like this: "Really? Your favorite film of all time? I thought it was just lots of footage of Greg Peck trudging through the desert?" And I could see his point. It would be a strange movie to 'make a lot out of'. It's interesting to see someone going through the older reviews. One thing I decided upfront, when I started this in mid-2016, was I wanted to deliberately choose some films TCM might not consider Essential, because I wanted to broaden the definition. I wanted to get away from the notion only "A" films with certain actors and directors could be regarded as Essential. A few months included Essential "B" films; sometimes we covered what were Essential British films, Essential documentaries, etc. There was a month when I looked at Essential Disney animation from the 1990s. Another month where the focus was on Essential TV movies. I wanted to shatter the idea there had to be widespread agreement on what an Essential is. One month earlier this year there was a theme called Essential Flops, which was kind of fun, to look at titles that have been overlooked because they didn't perform well at the box office and people hardly knew about them...we don't have to wait till others come along and label them cult classics, they can be seen as Essential viewing right now. I don't want the thread to become a debate about how to define an Essential. That would be counter productive and quite tedious. But hopefully it can be agreed that all (or at least most) films have something Essential in them. At this point I've done around 120 of them. I redid the one on DOUBLE INDEMNITY (1944), because there were some new things I wanted to discuss and hadn't been totally satisfied with the first version. I reposted the one on LOVE LETTERS (1945) with a new introduction. I will be reposting the one on CHRISTMAS IN CONNECTICUT (1945) later this month. But typically I don't do "reruns." The website had an upgrade at one point, so the early reviews have formatting issues with extra spaces thrown in. Also in some reviews the photos disappeared, probably because of the upgrade, where they didn't properly convert over to the new format. I'm not obsessed with fixing those formatting problems. The text is still there. Today I went through and decided which ones were my favorites. I'm not certain if it's because they are my favorite films in this thread or my favorite reviews. But they're my favorites. They're the ones I feel most connected to, for whatever that reason may be. The month I focused on films from 1969 has been my favorite. I just loved all four of those films so much. The film I gained the most appreciation for, or rather the filmmaker I gained the most respect for was-- John Sayles' CASA DE LOS BABYS. He did so much on a limited budget. I'm sure most of those women worked at lower than their normal fee. But they're all brilliant in it. When you get something that good to look at, you want the review to do it justice. You can't fail it. The performer I gained the most respect for was Katharine Hepburn during the month I looked at those Hepburn-Tracy films. I felt totally captivated by her performances, yet I could see the acting "tricks" she used and marveled at how effective those tricks were. 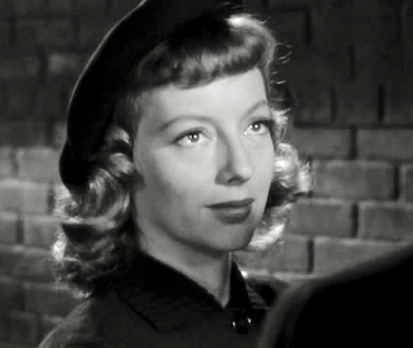 She was certainly the best actress America has ever produced, at least in films. Thanks. To me, although TCM touts this series as 'Essentials'...knowing the 'Essentials' is really more like just a basic grounding in everyday American culture. These are films I'd expect any intelligent person to know. Only a complete n00b should have to be reminded of the importance of 'Sunset Boulevard' or 'Metropolis'. The real 'Essentials' are the ugly films, the hard-hitting films, the unpalatable films that are too seamy and too dirty for nice, clean, wholesome TCM to air. Films like Cannibal Holocaust, Behind the Green Door, or Pootie Tang. Maybe that's your definition of Essential. LOL Of course we all have our own definition of what's essential cinema. I deliberately chose some films that would not be a grounding in American culture, to borrow your phrase. Like JONATHAN (2016) an obscure German film. Again I felt the definition needed to be broadened. Obviously I labeled this thread TopBilled's Essentials. Not as a vanity thing, but to differentiate it from TCM's series, so people would know I was not only covering what TCM was airing. You can start a thread called Sgt Markoff's Essentials, or whatever you want to call it, and show others what you perceive to be essential cinema. That would certainly be interesting. It would seem tedious to go around in circles defining what an Essential is, since I think that would be some sort of masturbatory exercise in cinematic know-it-all-ness, which is not the point of this particular thread. If I remember correctly, I started this thread because of a conversation I had with Barton in a private message. Robert Osborne had become ill and stopped hosting on TCM, and that season's lineup of TCM Essentials with Robert and Sally Field had been postponed, then cancelled. I wanted to continue generating a conversation about Essential movies, but as I said, take the concept and widen it. Covering animation, B films and TV movies was certainly a way to branch out. Another thing I wanted to do was to have a monthly theme, something TCM did not do. And I wanted to get away from the idea that a review had to be linked to scholarly film theory. Since I had studied at the Actors Studio in 2003-2004, it was a priority of mine to occasionally do a review from the perspective of an actor's choices. The only thing I "stole" from TCM was the idea that I would post a new review each Saturday, since TCM's series always aired on Saturday evenings. And I thought it would be something people could look forward to each weekend. All very fair and reasonable and well-tempered. I ventured a mild opinion above; but I'm not het-up about the topic; I have no particular agenda towards this theme. Your thread is aptly suited for all such discussions. Films like Cannibal Holocaust, Behind the Green Door﻿, or Pootie Tang. Saw the middle one. I could see TCM showing it in the middle of the night for avant garde reasons. Maybe after Burt Lancaster and Tony Curtis in Trapeze or something. Actually its gay counterpart, Wakefield Poole's Bijou, is much more cinematic and artistically interesting regardless of the interest level and "orientation" of viewers. Not that TCM seems eager to show that one during Pride Month anytime soon. Marilyn Chambers was much more animated in her performance than Bill Harrison and is, therefore, more deserving of Star of the Month. Y'know now that I am musing more on this I can name at least one flick --its one which I have a sentimental spot for--its also a genuine classic--and its one I often wonder why more people don't lionize, admire, or make-as-much-of as they do say, the tenderest of Jimmy Stewart flicks and suchlike. The film in question? 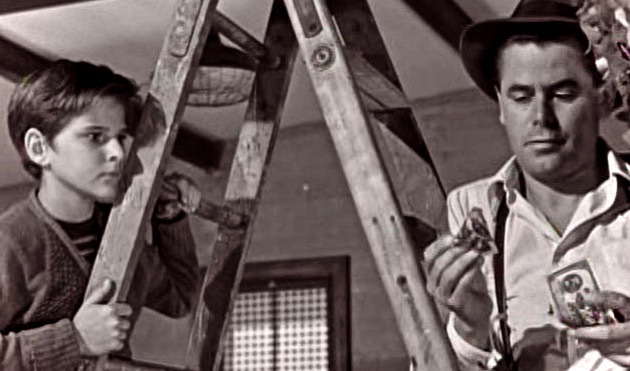 Paul Muni and Claude Rains in "Angel on My Shoulder". Is this aired often on TCM? I think it should be; if it is neglected then I think it makes a good pick for an Essential. In 1988 MGM'S classic version of Charles Dickens' story was released on home video. There was much fanfare, as the event marked the film's 50th anniversary. A year later another MGM family favorite would also celebrate its 50th anniversary. While THE WIZARD OF OZ had annual broadcasts on network television through the years, A CHRISTMAS CAROL was a bit neglected. Perhaps it's because there had been so many remakes in the intervening period. When it was made available on home video, people clamored to see it again. The high school I attended did a staging of it for the annual fall play which used dialogue from the movie. I played Scrooge. 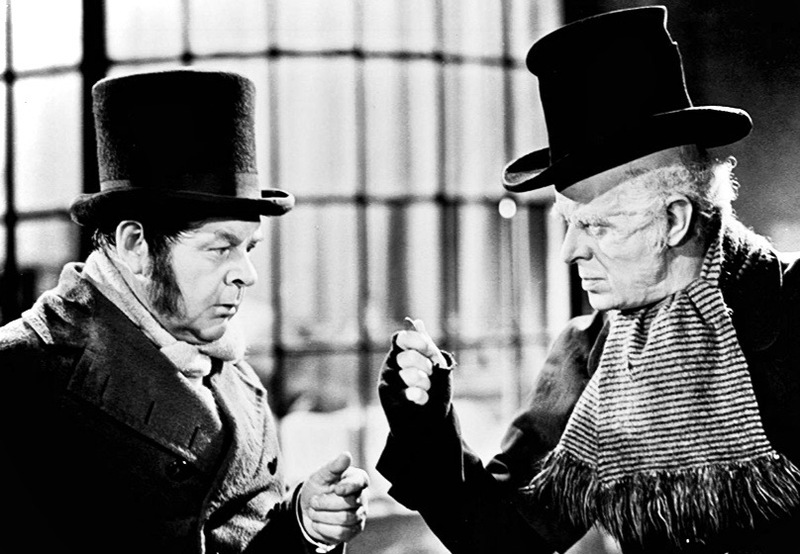 In the 1938 film Reginald Owen plays Scrooge, and Gene Lockhart is the hapless Bob Cratchit. No matter what Bob does, it's never good enough for Ebenezer. 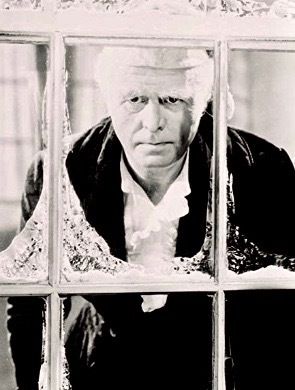 Both men reach the breaking point just before Christmas, and unlike Dickens' original story, where he is just threatened with losing his job, the movie has Scrooge fly off the handle and fire Bob. I guess to increase the drama and show the Cratchits facing a serious hardship during what's supposed to be a festive time. 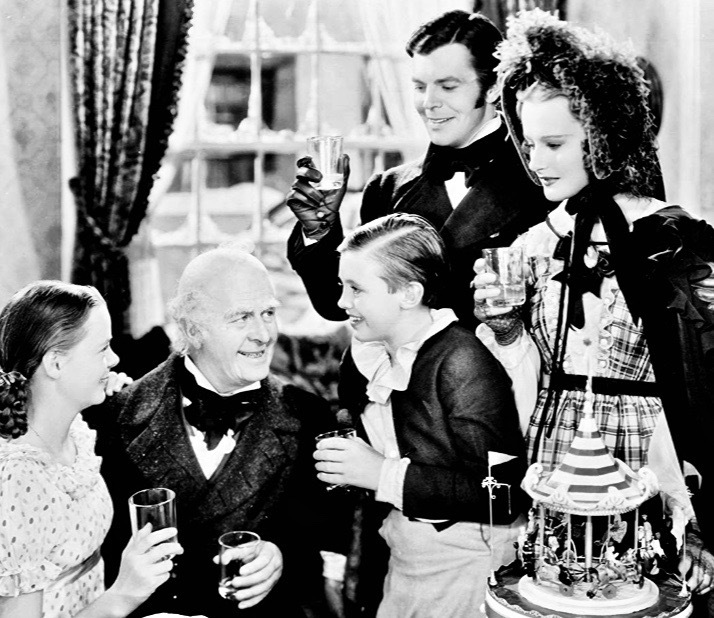 Nonetheless Bob and his wife (Kathleen Lockhart) are determined to give their kids a proper holiday even if old Scrooge is making it nearly impossible. In the next part Scrooge is alone at his home on Christmas Eve. When I played this on stage, I had to drink some foul-tasting medicine that was supposed to put me to sleep so the character would experience the strange visions that soon followed. As everyone knows, Scrooge is initially visited by his partner Jacob Marley, a sad spirit experiencing a hellish afterlife. The guy who played Marley with me has now changed genders, so I wonder if she thinks her life as a he was like chains she had to break, I don't know. 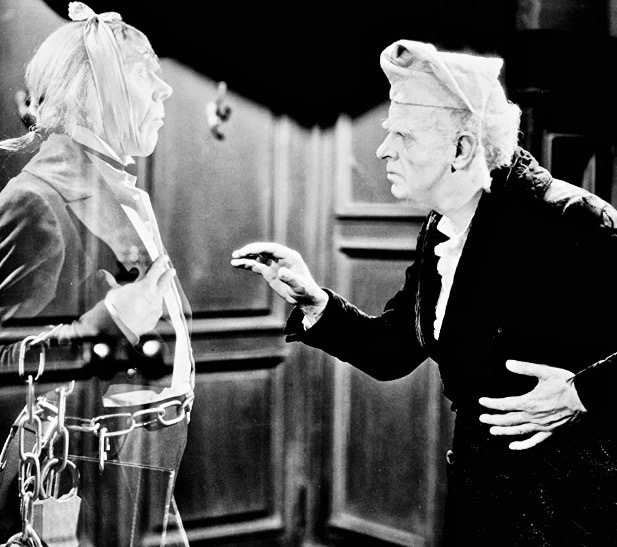 After the scene with Marley, Scrooge is visited by three ghosts in the course of one night (though Dickens originally spread it out over a few nights). Scrooge is taken on a journey so he can see what his life was, what it became and what it could be if he doesn't change. It's a wonderful way for a man to examine his conscience. The last dream sequence, involving the Ghost of Christmas Future, is the most memorable and frightening. 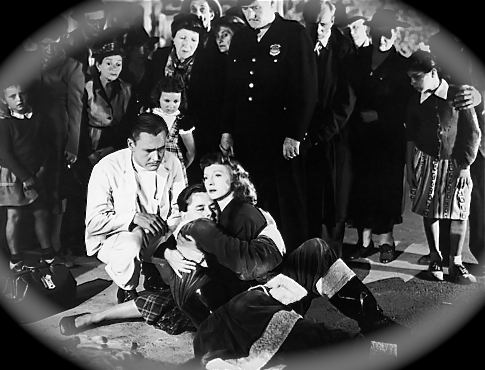 However, MGM's version tones down the horrific aspects of it. When I had to play that scene, we had a grave downstage with my name on it (well, with Ebenezer Scrooge's name on it). It's surreal to stand in front of your own tombstone. Of course Scrooge decides, ever so dramatically, that he must reform. In the next scene he wakes up in his flat realizing it's all been a nightmare. But it is an experience he will never forget, and he does intend to become a permanently changed man. I loved playing the vicious aspects of the character in the beginning, but have to say it was rewarding to play the redemptive aspects of Scrooge at the end. My sister, who definitely looked like a girl, was cast as Tiny Tim. For her transgender role, the director put a cap on her and gave her boyish clothing to wear. She had recently injured her knee in gym class and was on crutches-- that's why they gave her the part. Though my sister and I didn't always get along, I was forced to be nice to her in the last scene of A CHRISTMAS CAROL. I knew I could go back to making her life a misery the moment the curtain came down. A CHRISTMAS CAROL will air on TCM the 24th of December. So you got to play Scrooge. I only play him in real life, not on stage. Only I ain't rich like Scrooge. I admit that I was spoiled by seeing the '51 and '84 versions before taking on this one a decade or two ago. I did give it a second viewing last week. It is part of a TCM four movie set blessed with some great extras like the delightfully sappy shortie THE CHRISTMAS PARTY (1931) with Jackie Cooper. I should also add that VCI Entertainment's 2011 DVD of the '51 Renown production directed by Brian Desmond Hurst (original title on the film is preserved as SCROOGE, but the DVD cover says A CHRISTMAS CAROL) also has some excellent extras, especially an in-depth documentary spotlighting how then current events like the Festival of England and a political election focusing on welfare reform infiltrated that version. Regarding MGM's version, I did enjoy parts of it if not the whole thing. Like the studio's earlier and superior DAVID COPPERFIELD, Dickens' London recreated on the Culver City backlot looks fairly convincing. Also I like seeing the Lockhart family working together as the Cratchits even though it would have been nice for 13-year old June to have substantial dialogue so she could stand out among the others cast as her parents' children. Best of all is seeing Leo G. Carrol in his pre-Hitchcock days playing Marley's ghost. Both his scene and the flaming plum pudding that almost burns down the Cratchits house did kinda... turn me on. Reginald Owen is a talented actor, but I think all of the lop and chop done with the original source material impact his performance. It was wrong to have him transform from nasty Scrooge to Mister Happy Go Lucky so rapidly. Other versions that stuck closer to the original had his personality transition more gradually and realistically. 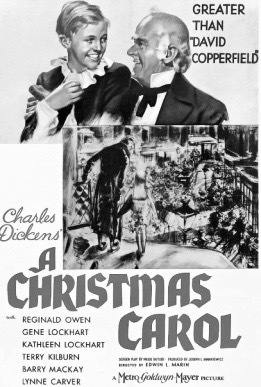 In addition, Alastair Sim played Scrooge in the '51 version as a very lonely man who suffered some emotional (rather than economic) disappointments in life including the death of his sister paralleling their mother in a scene not part of the story but a good addition to his on screen character. We are only teased a little regarding the past of Owen's Scrooge so we aren't entirely sure why he starts out as so grouchy, apart from a silly snowball hit. Obviously MGM intended their version more for the kiddie matinee than adults (and Lionel Barrymore's trailer for it emphasizes the children aspect, showing Reginald Owen laughing a lot in the previews). I wonder if the criticism that Disney's SNOW WHITE AND THE SEVEN DWARFS and Selznick's THE ADVENTURES OF TOM SAWYER received for being too frightening (which, by the way, did not hurt the former's box office at all) may have had some impact on Mayer & Co. toning everything down considerably. While there are no picket fences of the Andy Hardy variety here, everybody still looks squeaky clean and well fed. Gone are the starving children shivering under the robe of the Ghost of Christmas Present. Gone are the greedy seedy ghetto scenes; the part involving the Ghost of Christmas yet-to-come being the most boring of three “journeys”. The Cratchit house looks surprisingly well furnished, making you wonder if this family is suffering as much as they lead on. Even the dead goose Cratchit buys (which isn't shown often in the other versions)... and this he purchases after getting “sacked”... looks so much bigger than the dead turkey Scrooge provides later. Everybody (including Scrooge himself a little too early than I expected) is so relentlessly happy and there is nothing wrong with that had this been redesigned as a musical or comedy. Nothing against Barry MacKay and Lynn Carver, but they were bland as a couple giggling over the ice skidding. Not much that is haunting here either. As a ghost, Ann Rutherford looks more like a fashion model destined for Colliers Magazine (lots of cosmetics on her face even in black & white). One radical difference with other versions (and I can include an earlier and often overlooked 1935 version in the mix as well) is that many scenes here are brightly lit with few shadows present. 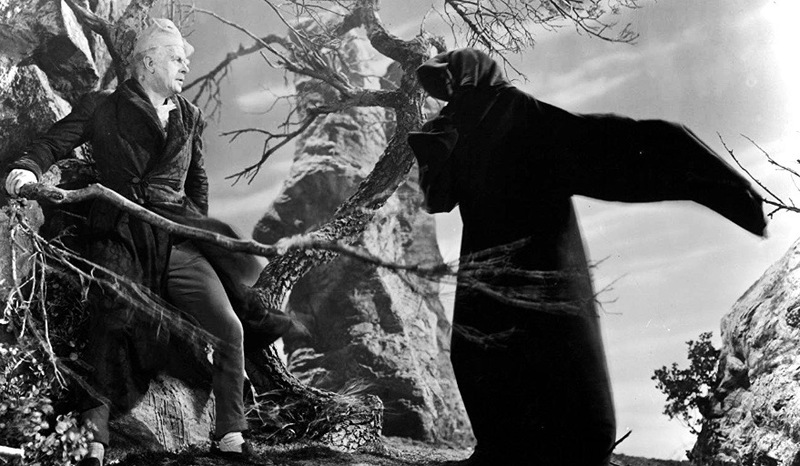 Although SCROOGE '51 is not necessarily the darkest version, Brian Desmond Hurst and key cameraman C. Pennington-Richards nonetheless supervised it during a period when British film noirs were cresting and, like David Lean's equally beloved Dickens adaptations GREAT EXPECTATIONS and OLIVER TWIST, employed a certain German expressionistic touch that fits the supernatural elements of the story perfectly. The scene when Sim walks quickly in the dark towards the front of the screen and gets lit in a horror pose when he is stopped by the mysterious hand of the “future” ghost (later showing him his grave) reminds me of the much earlier THE LONG VOYAGE HOME where Greg Toland used a lot of dark versus light imagery to emphasize character emotional stress. Not surprisingly, this later version was rejected by Radio City Music Hall which openly embraced the cheery “family friendly” version 13 years earlier. Apparently the '38 version had a very rushed production schedule and many shortcuts were taken to get it released right away. This may account for so much missing in Scrooge's ghostly visits and each of them ending abruptly. Too bad they couldn't have planned it better, considering that MGM boasted a very creative special effects department that was busy working on THE WIZARD OF OZ at this time. This fantasy is ripe for so much cinematic imagination and experimentation. What we get is a rather pedestrian production with not much “wow” factor in the visual department. I am guessing that Walt Disney and his top director Robert Stevenson liked both '38 and '51 versions since they used two of their key players, Reginald Owen and Hermione Bradley (who played Mrs. Cratchit in '51 with more extended scenes than Kathleen Lockhart) for supporting parts in MARY POPPINS. Intriguingly David Tomlinson's role as Mr. Banks is vaguely Scrooge-like as he's more involved with money and work than his own family until the Julie Andrews influence (rather than three ghosts) has its impact. The children, if not their father, do get three adventures paralleling Scrooge's three: the animated sidewalk painting come-to-life, a ceiling tea party with Ed Wynn and the chimney swift dancing. Owen clearly had fun as Admiral Boom, which probably suited him better than Ebenezer since he has a very bombastic and energetic personality to begin with (another reason why his transformation in A CHRISTMAS CAROL may have seemed too abrupt for me). There are quite a few other similarities and most peculiar differences between MARY POPPINS and A CHRISTMAS CAROL that you can see from various angles. Examples include George Banks' “feed the birds” comments resembling Ebenezer's on feeding humans (along with Mr. Dawes Senior discussing “fat birds” much as the dead goose and turkey are discussed) along with the very cane used by Mr. Dawes Senior resembling Tiny Tim's even though he is a very old man who is most Scrooge-like and only dies once while Tim both dies and lives on screen. Like Scrooge, he does elevate in the air once he gets the “man with a wooden leg named Smith” joke, but without having to hold onto a ghost's sleeve. Interesting comments. I think most Disney live action films of the 1960s are derivative of earlier works (like SUMMER MAGIC borrowing heavily from MOTHER CAREY'S CHICKENS; THE PARENT TRAP stealing from MGM's TWICE BLESSED; and BLACKBEARD'S GHOST has a Dickensian quality). But that's another discussion. Regarding the 1938 version of A CHRISTMAS CAROL produced by MGM, June Lockhart said in an interview it was really a "B" film. And it was, but it's dressed up in the studio's typically glossy production values, so it seems a bit grander than it is. The short 69-minute running time, as a "B" film, along with the rushed production schedule you pointed out, prevented it from having more expanded sequences that went deeper into the original material. It's a bit surprising the studio didn't remake it later in the 40s or 50s in Technicolor, since they did remake family films like SHOW BOAT and LITTLE WOMEN. 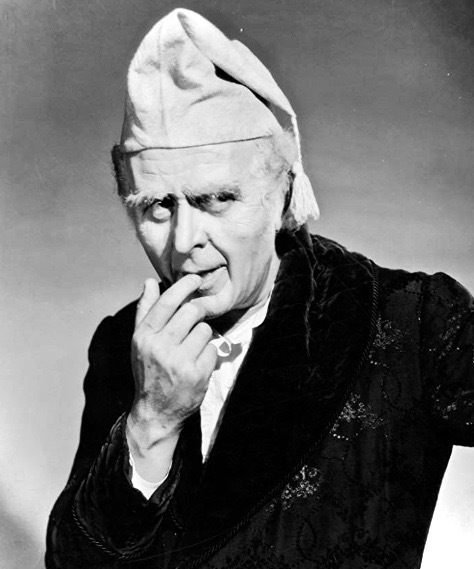 If they had remade A CHRISTMAS CAROL, Barrymore could have played Scrooge, or one of the studio's other renowned character actors could've tried their hand with it, guys like Louis Calhern or Edward Arnold. I think the '38 version is fairly well made and does hold up to repeat viewings. MGM re-released it several times in the theaters, so for awhile it was an ongoing moneymaker. If it had been bleaker, it probably wouldn't have been able to be re-released during the war years, a time when people needed those happy scenes and uplifting moments. Then again, SHOW BOAT and LITTLE WOMEN were done for Universal and RKO initially and MGM was trying to ape their versions, much as they did in B&W with a follow-up to Paramount's DR. JEKYLL AND MR. HYDE. I cannot lie. I favor the non-MGM versions of that trio. Yet, regarding Dickens, both DAVID COPPERFIELD and A TALE OF TWO CITIES are worthy MGM efforts. Again, I did like parts of A CHRISTMAS CAROL but I was spoiled by seeing the other versions first. Had I seen them all in a different order, maybe I would have a different opinion. So if you had to rate the versions, how would you do it? Would you recommend SCROOGE (1970) and SCROOGED (1988)...? To be honest, I am not a fan of “holiday” movies. I feel “holidays” are presented too optimistically on screen, too whitewashed when the reality is that these periods can be very dark and depressing for many. This is an aspect I do like about It’s A Wonderful Life despite all of the unnecessary Capra preaching involved. I like Jimmy Stewart attempting suicide in that one even if he is stopped. The Scrooge films are interesting in presenting this darker side as well. I guess my issue with CC ‘38 is that it is too bright. Too much like other happy holiday affairs. Only seen parts of the 1970 version. Saw Billy Murray’s version once back in either ‘89 or ‘90 on vhs and thought it was moderately amusing. Later I thought Groundhog’s Day was better suited to his talents. I have a feeling I would be less impressed with the ‘84 version with George C. Scott today than I was decades ago, but I still felt it was better than the ‘38 version, mostly because it kept the dark elements in. Rewatched the ‘51 version again this week after the ‘38 version. Obviously it is the superior “A” budget version that may have the unfair advantage and is closer to the original despite adding a bit more material not in the original. I also like the two David Lean (not Scrooge but still Dickens) productions of the 1940s that share its post war British Hollywood style. There is something special about that period in British cinema just before television completely took over when music scores were nice and slushy, the cinematography was atmospheric even in black and white (although the Technicolor films on that side of the Atlantic also were quite unique) and so many character actors stood out even in limited roles on screen. Holiday movies are not my thing either. But that's likely due to the deeper gripe I have which is that holiday music is atrociously bad. Makes me want to burn my ears off with a blowtorch. Among the very worst music ever conceived. Insanely bad. I think the music added to "why" Radio City refused to accept the '51 version like it enthusiastically did the '38 one. Below is the opening title sequence, which hardly puts the audience in a festive state of mind. Note that Richard Addinsell's score with Muir Mathieson orchestrating opens like a sinister film noir or horror movie (something Hitchcock would do), then converts into a "Hark the herald angels sing" section more in tune with the '38 version before once again getting all menacing and foreboding shortly before Addinsell and Matheson get credited on screen. The film did very well in the UK because the Brits enjoy a dark edge to the proceedings, but Americans are very sensitive and fussy about such things they hold as "traditional". I'm fine with classical holiday symphonic or choral compositions ...but not with 'holiday muzak' or the silly, saccharine songs from children's XMAS cartoons. Sung by nameless, faceless, drooling, dripping, oozing, muzak artists. My god. 'Rudolph the Red Nosed Reindeer', 'Frosty the Snowman', 'Winter Wonderland', 'Jingle Bells'? For cryin' out loud. Sweet Creeping Jesus. I don't even wanna know where these insipid monstrosities ever came from. The fact that America's marketing agencies blithely suppose I yearn to hear these ditties every year (for one full month out of every twelve) is bad enough as it is. 1984 was the year of feeding the hungry, a sharp contrast to 1983 being just one big battle over the last remaining Cabbage Patch Doll. I guess this was more in the spirit of A Christmas Carol (with another George, Mister Gee See Scott, starring that year). 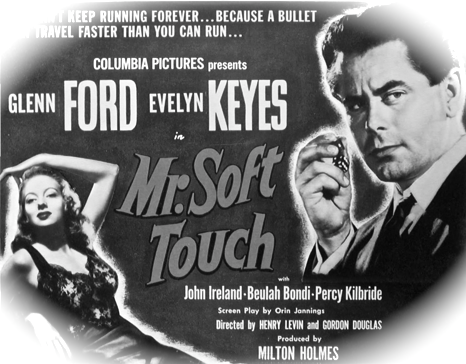 Columbia's MR. SOFT TOUCH pairs Glenn Ford and Evelyn Keyes for the sixth and final time. It is probably their best film together. A bit hard to describe, the story combines different elements. It's a comedy, a romance, a gangster picture, and it's a holiday drama. And while it will please fans of each specific genre, there is no schmaltzy ending, which makes it more unique. 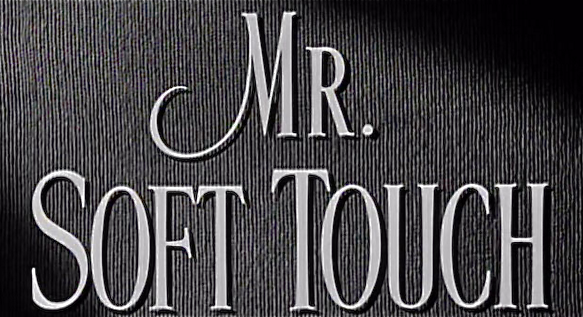 MR. SOFT TOUCH comes across as thoughtful entertainment. It is scripted in a way that makes us eager to learn more about the two central characters-- Jenny Jones (Keyes) and Joe Miracle (Ford). We learn Jenny was beaten as a child, but her father said he loved her. Joe is said to be a patriot who served in the war. He's mistaken for a man who beats his wife, which resonates with Jenny. Fortunately, Joe is not actually married, did not beat anyone, and is available for romance. These two help each other during a fateful 36-hour holiday period. Jenny sponsors Joe's attempts to "reform" and he helps her at a settlement house where she works. He is not above blackmailing neighborhood crooks to pitch in. Also, he buy things that are needed for the kids, with cash he took back from the mob. Besides Jenny and Joe, there are other characters. One is a teen gambler (Stanley Clements) named Yonzi. Yonzi is taught an expensive lesson by Joe who's better at dice. Another character is Rickle a talkative carpenter (Percy Kilbride) who has politically-informed opinions about everything. Then there are two busybodies (Clara Blandick & Beulah Bondi) who work with Jenny. Plus a mob boss (Roman Bohnen) who wants his money back. 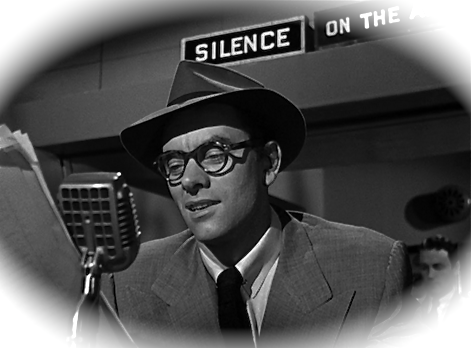 Oh, and there's a reporter (John Ireland) who functions as a Greek chorus. What I love about MR. SOFT TOUCH is how nobody is completely right, and nobody is completely wrong. There are no easy answers for any of them. Joe's past catches up to him in what is probably the most classic ending of all time. Yet he manages to do considerable good in the hours leading up to his last few moments. And what a gift that is.